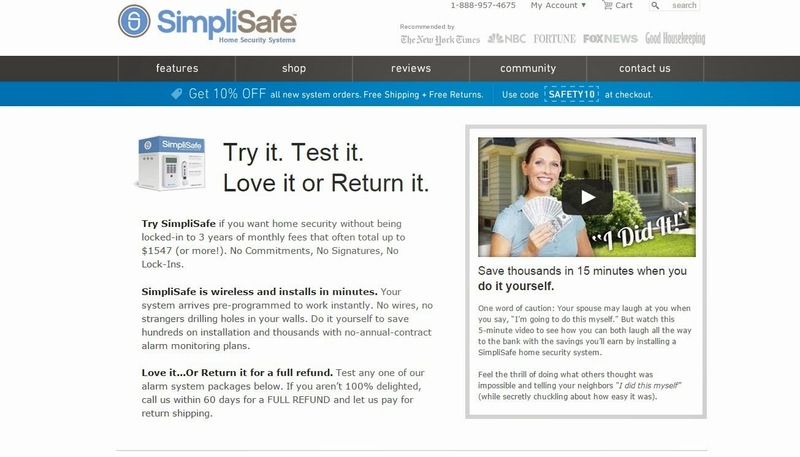 Michigan Real Estate Investing: SimpliSafe Alarm System a must! As you know our main focus is on Fix and Flip properties, whenever you are doing a fix and flip there are a lot of things to think about one is security. As you are doing renovations thieves may take notice and if you are not careful next thing you know you are missing plumbing, brand new cabinet’s appliances etc. Thankfully we do not invest in high crime areas however crime happens everywhere and you have to always protect your investment. After doing some research I came across a company called SimpliSafe they provide a full do it yourself alarm system that is out of this world simple! You can customize the system however you want they have just about every sensor under the sun and the monthly monitoring cost is $10-15 a month for peace of mind. For our properties we generally have the following system with add-ons. We generally spend and budget for each property $200-300 to install this system and it is worth its weight in gold. Not only do you have 24/7 live monitoring and police dispatch, but you can also be notified the second there is a problem on your mobile phone or email. Lastly, the system is all wireless with long lasting 5+ year batteries it literally sets up in 10 minutes or less and walks you through the setup process by voice command once you turn the system on. We highly recommend this to all investors out there who need to protect and monitor their properties. If you are interested use our link and they will give you 10% off! Did I mention no contracts and a full money back guarantee!